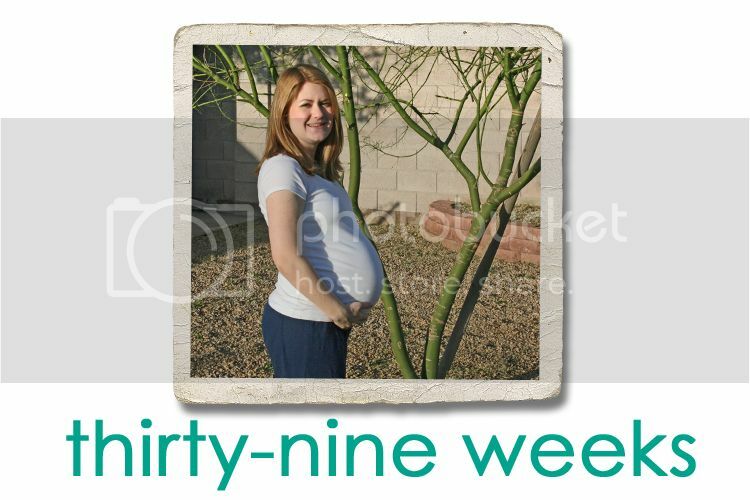 Jordy Liz Blogs: Thirty-nine weeks. The end of this pregnancy has taught me a great deal about waiting. For the first nine months, our eyes were set on the due date of March 11. But in this last month as we've seen the progression, the due date is a shot in the dark and we keep hearing "any day now" and "early" so casually mentioned. According to my appointment this week, nothing has changed from last week, so we are literally just waiting for you to arrive. While we have tried not to get our hopes up, it's so hard to keep waiting to meet you. You are big so I know you're ready for this big world. I have been inundated with sweet text messages and emails lately. Is the baby here yet? they all want to know. I feel so blessed when others check in because I know how much you are loved by those outside of just me and your dad. The antsy emotions I've been feeling has brought your dad and I much closer together. We had no plans this last weekend or week, so each night was up in the air as to what we could do, knowing it could be the last night with just the two of us. We've taken your sister-dog on long walks, ventured to coffee shops, said yes to late night errands and chores, and have slipped into bed earlier than normal to get a good night's sleep. The last week or so has been meaningful and purposeful, and I know it will make your arrival that much sweeter. Until you let us know you're ready to meet us, we have vowed to get out of the house each night after dinner to keep the antsy feelings at bay. We can't wait for you to join us on our mini-adventures. Soon enough, I know. I can't wait to see pictures of the sweet baby! Even more, I can't wait for you to hold the baby in your arms and celebrate the rest of your lives. Ditto to what Leslie said! I still can't believe that little one is still inside you, either! I anticipate his/her arrival daily! (Hope that isn't creepy! :)) Good luck! Hopefully you don't have to wait much longer! Prayers lifting you up for a smooth labor and that you are assigned some awesome nurses!